Temidayo Abudu, popularly known as Ted Abudu, had her traditional marriage to Adebola Makanjuola last weekend. 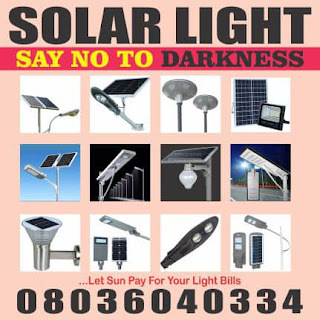 Ted is daughter of daughter of media mogul, Mosunmola "MO" Abudu, while Adebola is the son of Caverton Helicopters Boss, Remi Makanjuola. The bachelorette party of a South African lady known as Tiisetso is our Sunday Hotness feature. 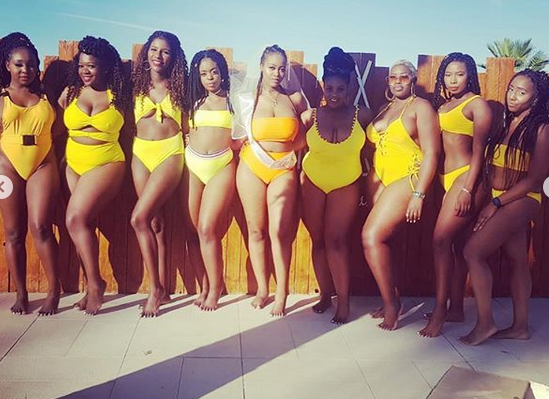 The bride-to-be and her girlfriends totally had fun at their bachelorette weekend in Marrakesh, Morocco. Nollywood star Empress Njamah seems finally of the market. The actress shared photos on Instagram which suggest she just tied the knot traditionally with actor Daniel Llord. 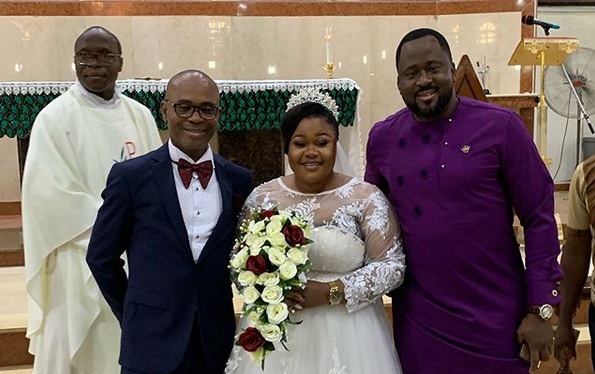 Entertainment entrepreneur and CEO Club Escape, Lagos, Richard Nnadi & Zaron cosmetics executive, Chioma Nwakwesi had their traditional marriage on Saturday. 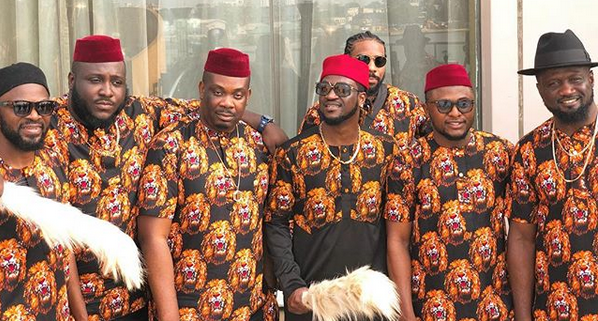 Lots of Nigerian celebrities turned up for wedding ceremony rocking Igbo traditional outfit, the prestigious Isiagu, for the event, and they looked absolutely gorgeous. 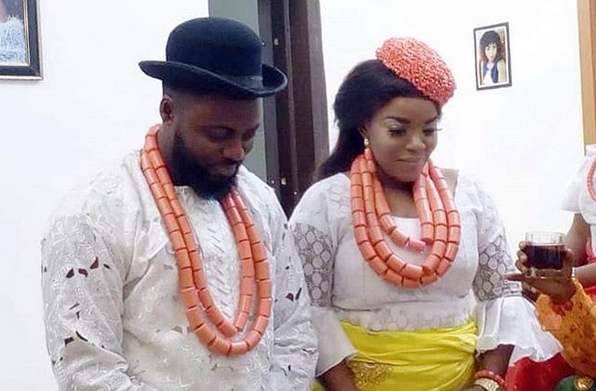 Nigerian filmmaker, Emeka Duru, walked his wife Chukwunaza, down the aisle on Thursday. The wedding ceremony held at Our Lady Fatima Catholic Church, Surulere, Lagos. 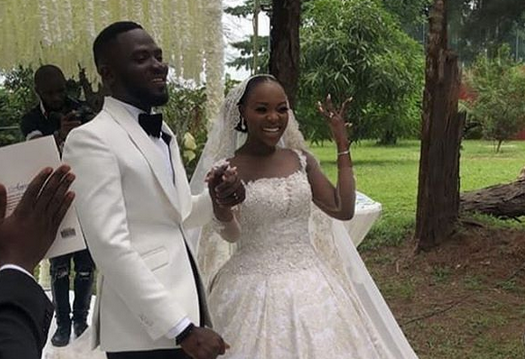 Music stars Adekunle Gold and Simi are now officially husband and wife. 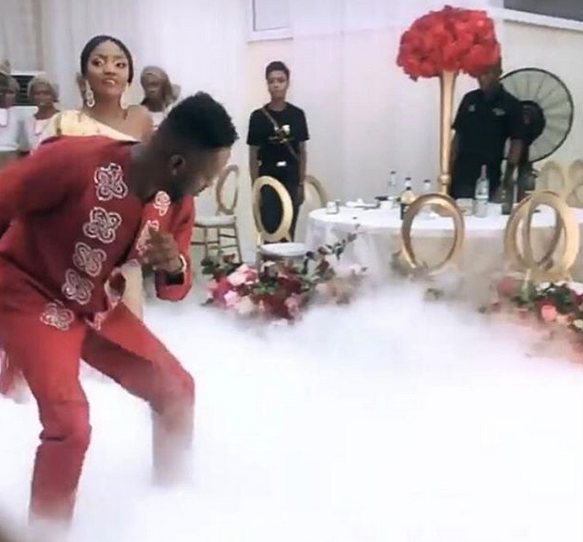 The singers who have kept their relationship on a low key had their traditional wedding today in Victoria Island, Lagos. 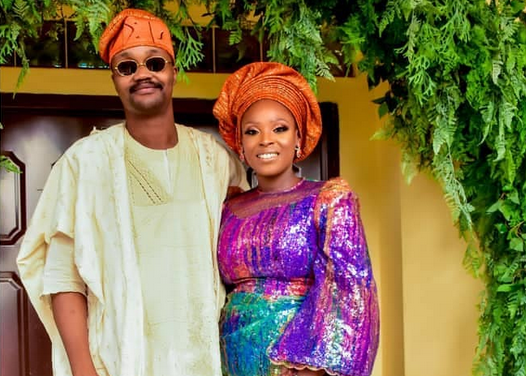 Temidayo "Ted" Abudu and her man Adebola Makanjuola had their marriage introduction ceremony on Saturday in Abeokuta, Ogun state. 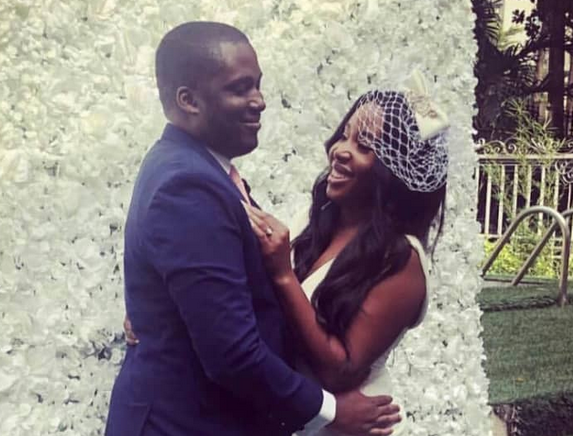 Mo Abudu's daughter Ted Abudu and her fiancé Adebola had their marriage introduction ceremony on Saturday in Abeokuta, Ogun state. Beyoncé gave her fans a thrill when she shared first photo of the white wedding gown she wore for her vow renewal ceremony with Jay Z in 2018. 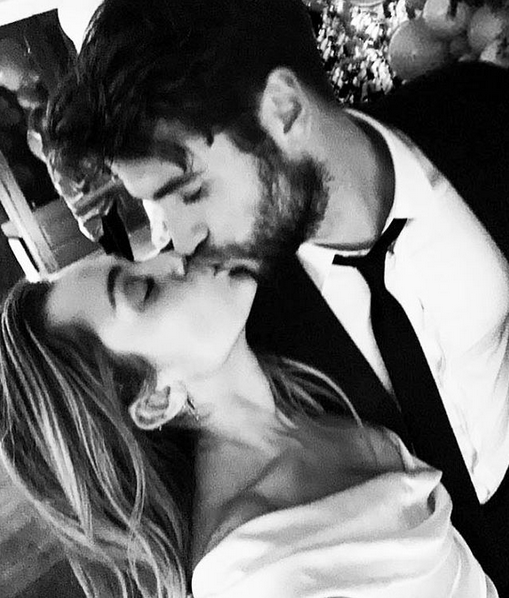 Miley Cyrus and Liam Hemsworth wed in a small ceremony in Tennessee on Sunday, and the singer has shared some images to social media from the low-key nuptials. The singer was seen hugging and kissing the Australian actor, whom she met on the set of their 2010 movie The Last Song. On Saturday, Eyinna Anumudu and makeup artiste, Joyce Jacob got maried in a court wedding ceremony. 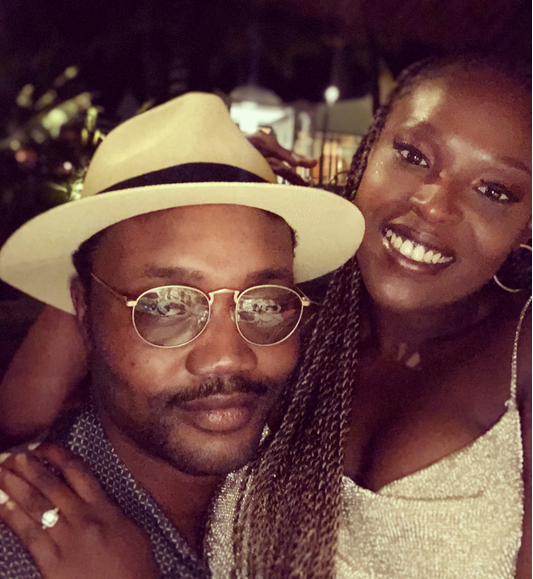 Eyinna, who is the eldest son of Chairman of Globe Motors, Willie Anumudu, proposed to Joyce in May. 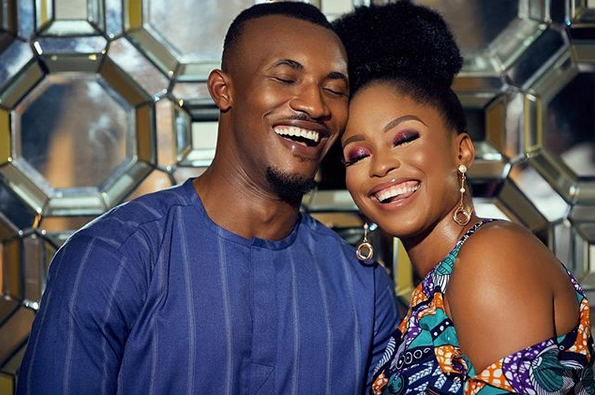 Nollywood actor Gideon Okeke and his fiancee Chidera Uduezue have release their pre-wedding photos. 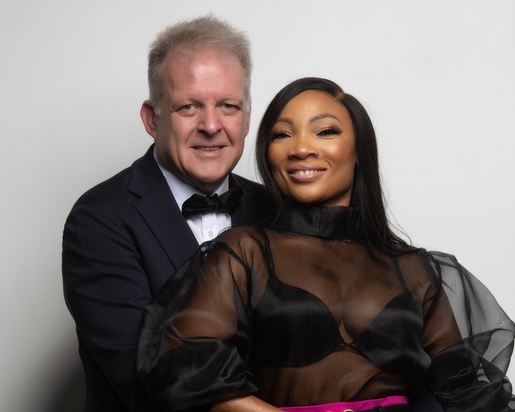 The couple who had their introduction ceremony in April, 2018, are set to tie the knot anytime soon. This is how to remarry after 40 years of being an inspiration to a generation that no longer values marriage. Veteran entertainer Charles Oputa, better known as Charly Boy and his wife of 40 years, Diane Oputa, have renewed their marriage. 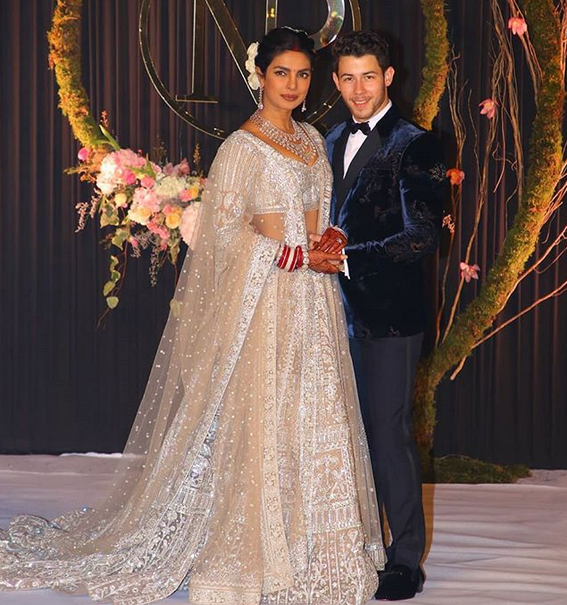 Nick Jonas and Priyanka Chopra's first official wedding photos have been unveiled, showing the couple at both their Christian and Hindu ceremonies in Jodhpur, India, over the weekend. Popular photographer Bolaji Alonge and his Belgian fiancée, Sandra got married last weekend in Lagos. 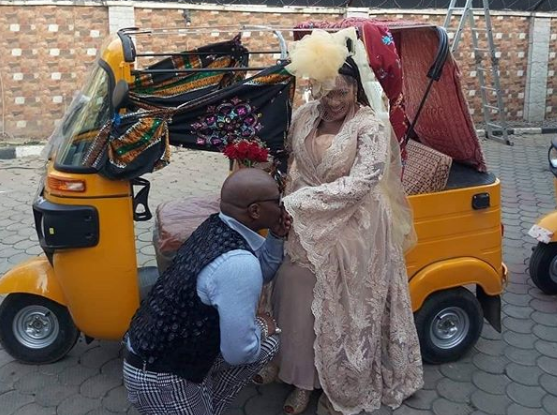 The couple raised eyebrows with their unusual cavalcade of 20 tricycles, popularly called Keke Napeps, that conveyed them to the wedding reception. 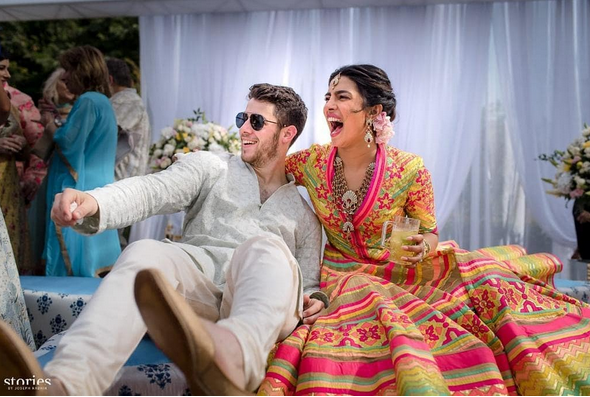 Indian actress Priyanka Chopra and American singer Nick Jonas said their I Dos in India on Saturday. 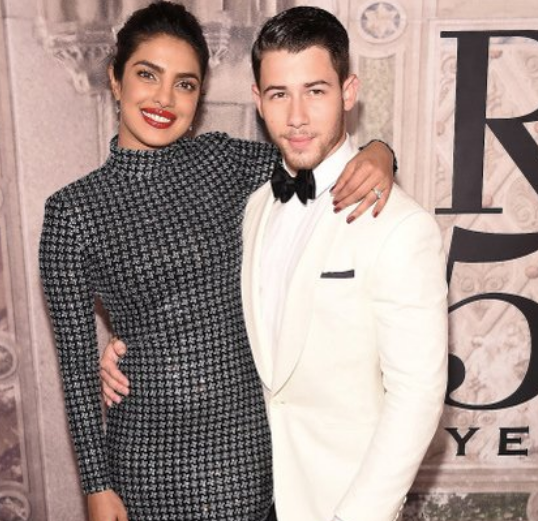 Priyanka Chopra and Nick Jonas have tied the knot in India. The Indian actress and the American singer, actor wedded in India four months after their engagement. Lovebirds, Engr. 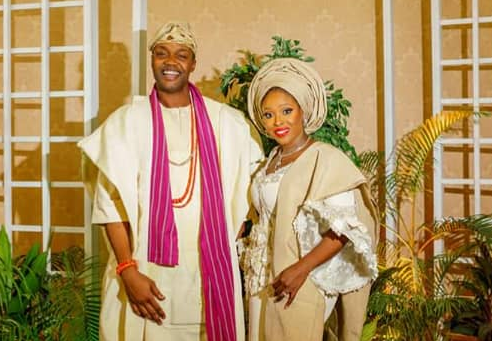 Emmanuel Ojimah and Aishatu Ibrahim will be getting married traditionally and legally this weekend. 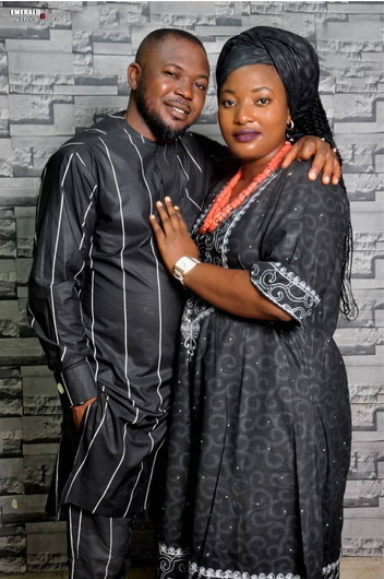 Emma and Aisha will first tie the knot traditionally on Friday, then on Saturday, the couple will walk down the aisle at the High Place of God Miracle Ministries, Royal College, Masaka, Nasarawa state.